The New Mitron Promo Presents Business Ideas You Can Only Think With Your Boy Gang! 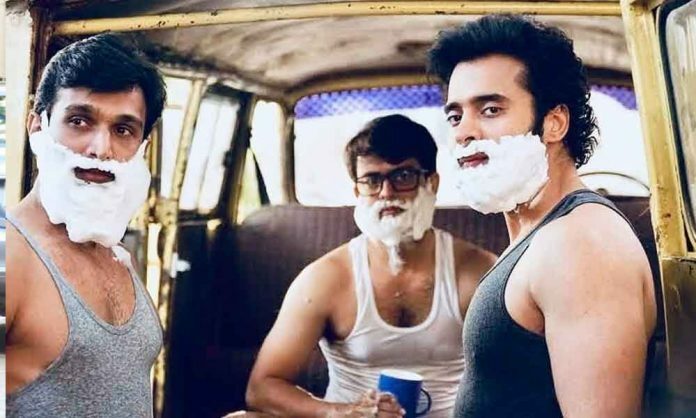 The earlier Mitron Mania videos, first look video which gave an insight into the character of Jai played by Jackky Bhagnani which got the audience laughing in splits. Continuing the hilarious ride, team Mitron released another Mitron Mania video showcasing the crazy gang brainstorming for business ideas. The latest Mitron Mania showcases Jackky Bhagnani, Kritika Kamra, Pratik Gandhi and Shivamparekh coming up with unique business ideas which tickle the funny bones of the audience. From inventions in hard drinks to cigarettes, the boys can think of innovative business ideas, only to upset Kritika. But if you haven’t discussed such ideas with your Mitron, are they even your Mitron? Set in the local town of Ahmedabad in Gujarat, Mitron perfectly grabs the essence of the heritage city. ‘Kamariya’ further celebrates the culture of the city as the cast grooves to the Garba anthem in the Gujarati grandeur. Previous articleIt’s Lucknow Calling For Loveratri Stars Aayush Sharma And Warina Hussain!